The Lamming laboratory's goal is to understand how nutrient-responsive signaling pathways can be harnessed to promote health and longevity. We are primarily focused on the physiological role played by the mechanistic target of rapamycin, (mTOR), a protein kinase that through a diverse set of substrates regulates complex cellular processes, including growth, metabolism, and aging. Recent work has shown that rapamycin, an inhibitor of mTOR signaling, can improve both health and longevity in model organisms including mammals. 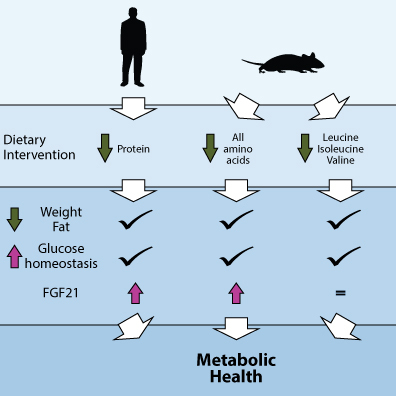 Understanding and manipulating the mTOR signaling pathway through dietary, pharmaceutical or genetic interventions in mouse models may provide insight into the treatment of age-related diseases, including diabetes, Alzheimer's disease, cancer, and Hutchinson-Gilford Progeria Syndrome.